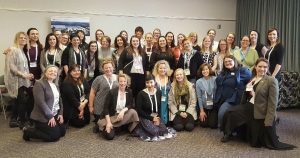 The inaugural gathering of Women in Hydrography, hosted by Jessica Heke and Starla Robinson, was held during the Canadian Hydrographic Conference and National Surveyors Conference (CHC-NSC) in Victoria, BC in March 2018. It was jointly sponsored the Canadian Hydrographic Association (CHA) and the Hydrographic Society of America (THSOA), represented by board members Melissa Wood and Starla Robinson. At this gathering, 40 women came together to establish a network of support and mentoring. Many women present have been part of the hydrographic industry for over 30 years; their vast knowledge and expertise should prove invaluable in guiding and supporting the next generation of women joining the industry. Throughout the event, these women spoke about their shared experiences and imparted advice. Amongst the participants were students attending an international hydrographic conference for the first time, with support from COMREN, QPS’s Women in Hydrography program, and various other academic institutions. These students gained valuable insight about their future career and forged new connections with each other and with industry representatives. “Forty women attended… approximately 10% of conference attendees. Women in the room spanned all ages, hydrography sectors, and multiple positions from students to veterans, and every one of them had a story. 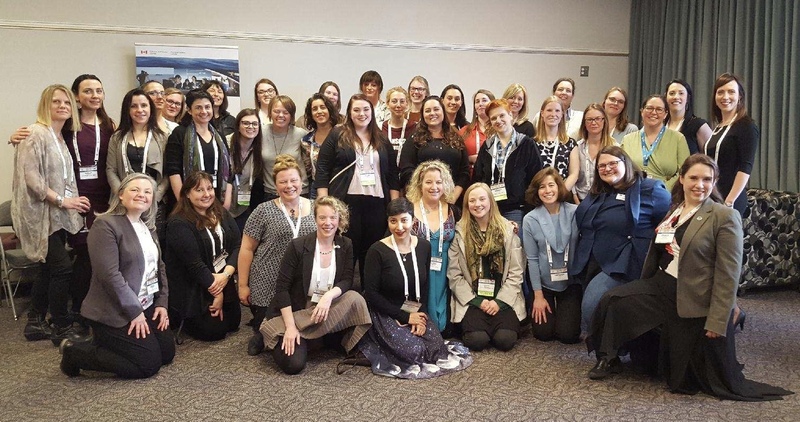 This inaugural event raised awareness of the unique challenges women face in the hydrography industry and the power of mentoring to further women’s careers in hydrography. Future events hosted by CHA and THSOA are currently being planned, including events at U.S. Hydro 2019, in Biloxi, Mississippi, and at CHC 2020, in Quebec, Canada.